When the food shopping arrived earlier than planned Sprog was really helpful in carrying it to the kitchen with Daddy. 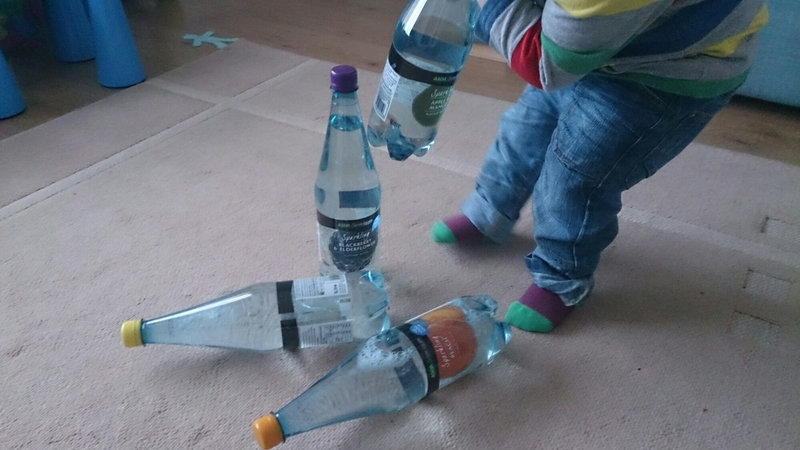 Then he knew where the bottles of fizzy water were stored and this afternoon we played with them big time. 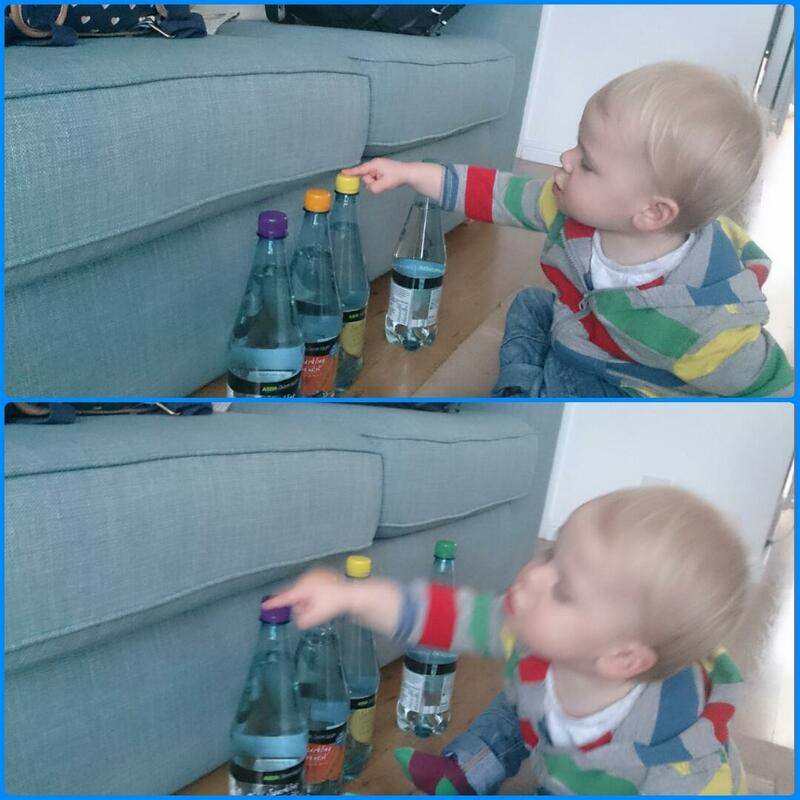 The first thing he did was start the push them all over using the other bottles…complete with lots of screaming, squealing and giggling. Then there was the lining up of the bottles. He went through the colours with some questions from me about pointing to particular ones. He has perfected his version of ‘purple’ which is ‘durble’ whilst eyeing up the blueberry fizzy water. 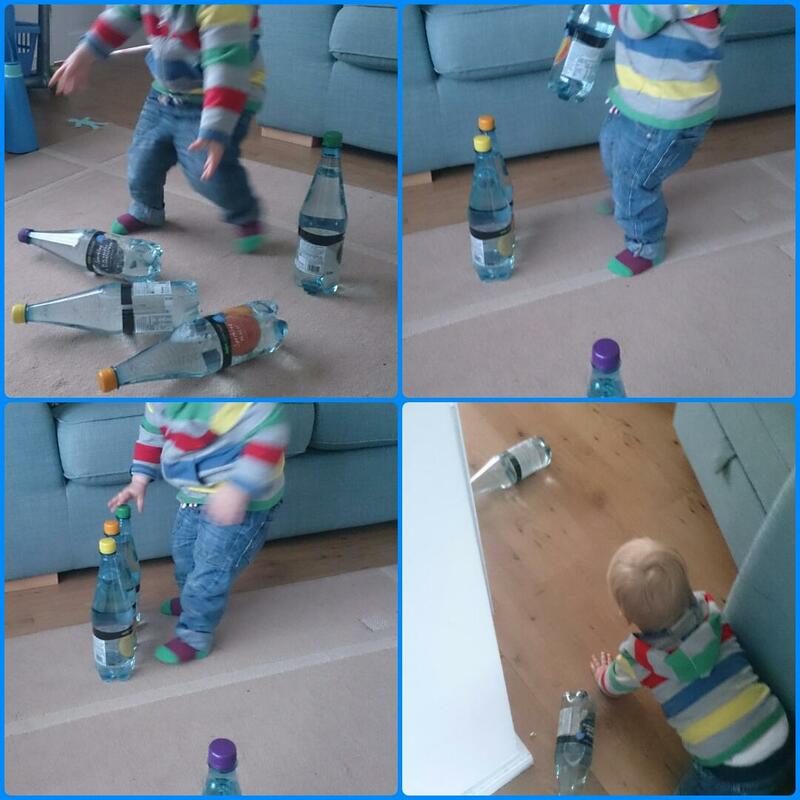 The last thing he discovered was that the bottles roll…all the way down to the patio doors…and back. My heart melts with pride at these last 2 shots. Sprog had lined them up and was counting down the line of bottles. He hasn’t mastered the actual sounds of numbers at the moment but he says that everything is the number ‘tue’ as he pronounces it. He sat counting along the line ‘tue’, ‘tue’, ‘tue’, ‘tue’. He is just so gorgeous and clever! It baffles my mind about how he is learning so much new stuff! 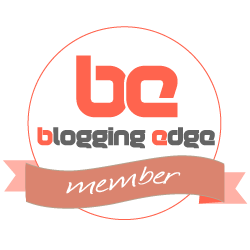 I would urge you to have a go at free unstructured play even if you’re a bit apprehensive. 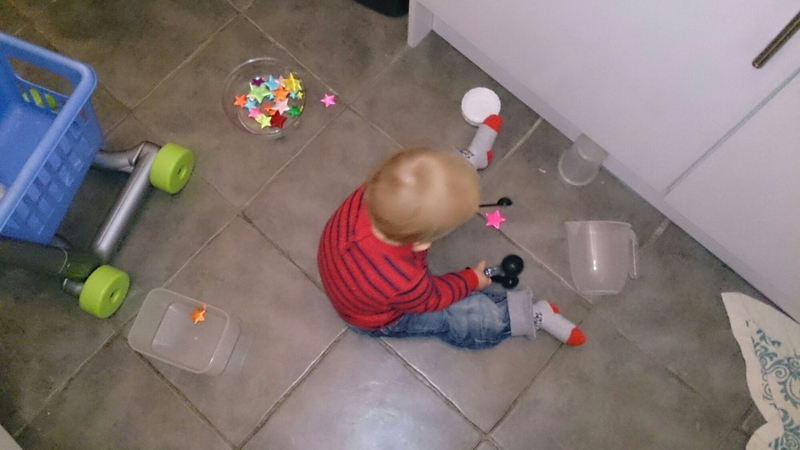 I did not plan any of this, it simply started by Sprog picking up the bottles for himself. 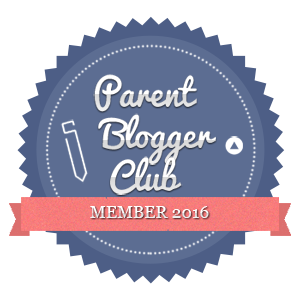 What stuff have your little ones played with that you never expected?! 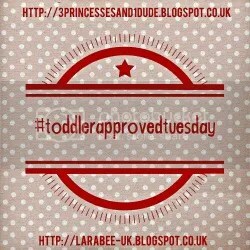 This evening after work Sprog and I had a lovely play session. I desperately needed to get dinner on and he needed to do something active because he’d had a bit of TV time when I’d got home. So I had a brain wave. 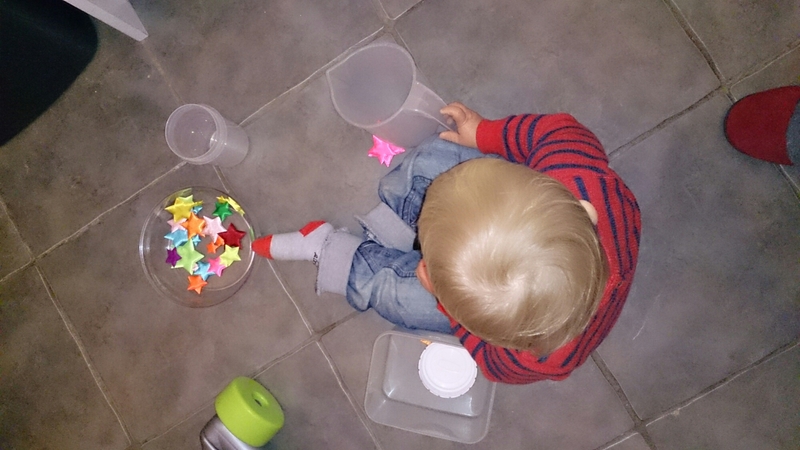 Ages ago, I made Sprog some sensory pots. I simply grabbed some plastic pots and some craft bits, bunged the different bits inside pots and voila, I had sensory shakers! Today, we went further. O yes. I think it was on our handy NHS email that toddlers may enjoy copying what we’re doing. 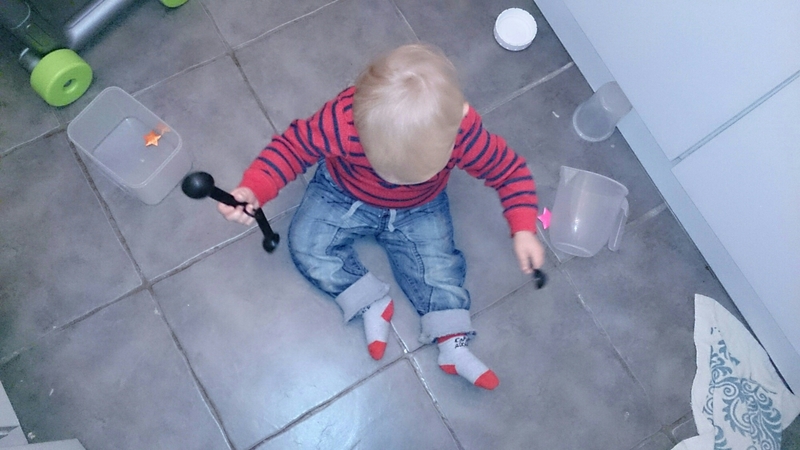 So I got some pots out, I got the plastic shakers out and gave him a couple of the measuring spoons. 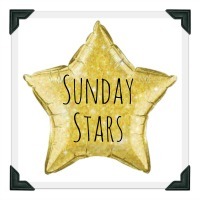 I sat with him on the kitchen floor and we experimented with playing dishing the stars into the pots. Sprog was honestly enthralled, so much so that he didn’t notice when I stood up and started dinner and played solidly for at least 20 minutes. I had to prise the pots from his hands to be able to eat his dinner! We shall definitely be doing this again!